The Gold Coast Marathon has today announced Australia Fair as the naming rights’ sponsor of the event’s volunteer program with a three-year agreement. Events Management Queensland CEO Cameron Hart said the partnership with the iconic Southport shopping centre is a boon for the event which is as well-known for its smiling, friendly volunteers as it is for its fast, flat course. “The support of Australia Fair will provide a significant boost to the all-important volunteer program which is crucial to the successful running of this event,” Mr Hart said. Australia Fair General Manager Ramon Otten said the partnership is an exciting opportunity to showcase the many features of the landmark shopping centre that, like the marathon, is a Gold Coast institution. 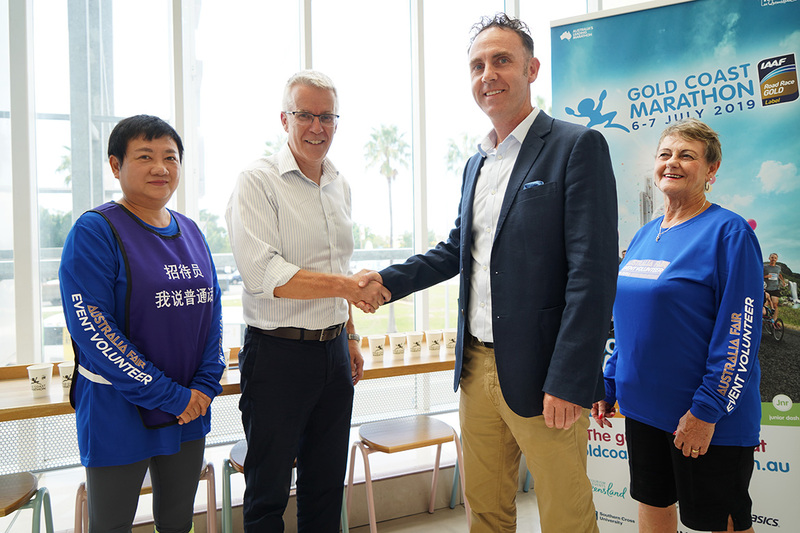 “The partnership with the Gold Coast Marathon is not only a chance for us to be involved in a major Australian sporting event but also to assist the 1,000 volunteers in continuing their great work in the community,” Mr Otten said. Australia Fair has become the naming rights’ sponsor of the Gold Coast Marathon volunteer program and ushering in the new partnership are (from left) Gold Coast Marathon volunteer Blanche Chan, Australia Fair General Manager Ramon Otten, Events Management Queensland Chief Operating Officer Tony Mullen and volunteer Annette Moon. 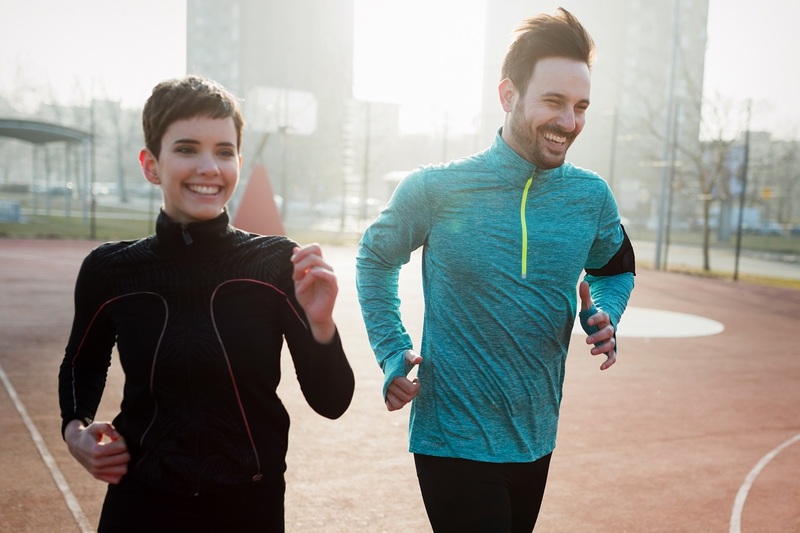 The Gold Coast Marathon is a major highlight on the Queensland event calendar and is set to attract 28,000 runners from more than 50 countries. 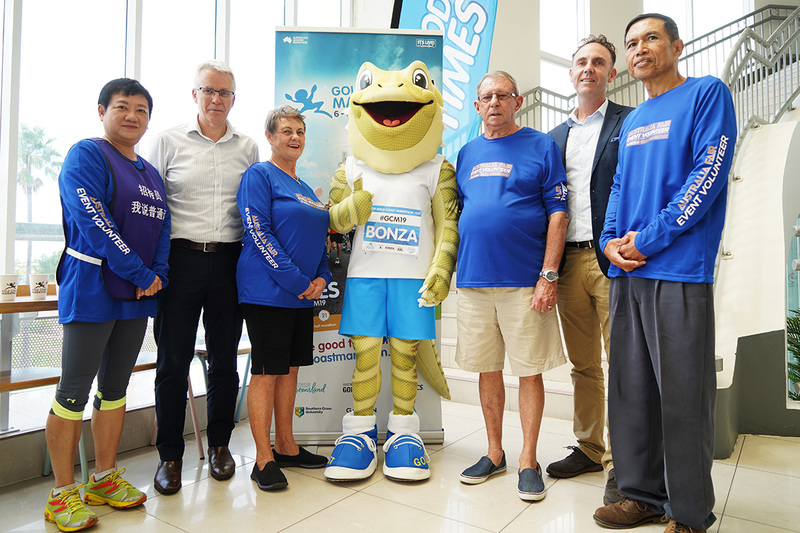 (L-R) Gold Coast Marathon volunteer Blanche Chan, Australia Fair General Manager Ramon Otten, volunteer Annette Moon, event mascot ‘Bonza’ the bearded dragon, volunteer Stan Dumper, Events Management Queensland Chief Operating Officer Tony Mullen and volunteer Jaime Laurente.